Modric wants out. Spurs say no. As Daniel Levy plays poker with Chelsea rejecting offer after offer for Luka Modric, something bigger is going in football. 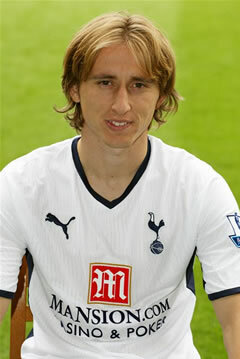 I can only match the drama of Harry Redknapp's contention; "If Modric leaves, it'll all be over for Tottenham. Because if he goes, Bale, van der Vaart and the others will too." But if Spurs do succeed in keeping the little Croatian, they'll stay this side of the wire as a "big club" and strike a blow for the aspirations of lesser teams up and down the land. However, if Modric goes, Tottenham will join the wastelands of the also-rans at Newcastle United, Everton and dare I say it, Aston Villa, who've sold their two best players to Liverpool and Manchester United. (I can't utter their names I'm so disappointed. I'm Down but I'm still Young). Modric doesn't come out of this with much credit. Happy to put pen to paper for six-years only fourteen months ago, his stock's risen suddenly after half a good season. Now he wants to cash in and join Chelsea. He rather resembles just another greedy footballer. Couldn't he achieve great silverware at White Hart Lane? He's hardly a rat leaving a sinking ship, is he? So an impasse has arisen: Redknapp is happy to back Spurs chairman Levy's resolve not to sell one of his best players. It was pivotal to Arsenal after selling Gael Clichy to Manchester City that Cesc Fabregas and Samir Nasri stayed too. After their terrible slide into late season ignominy, a landslide threated to engulf The Emirates. But as the summer progresses, the Gunners may launch into the season relatively unscathed - even if Barca are like a dog with a bone. 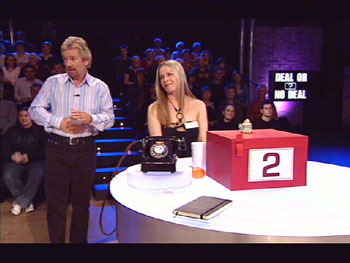 Noel should be brought in to break the deadlock. Daniel Levy is a brilliant negotiator, a skilled seller of his top players. Michael Carrick and Dimitar Berbatov were sold for £19m and £33m respectively - fantastic sums for both at the time and he may just be exercising brinkmanship as usual to get another phenomenal price for Modric - but it's for bigger stakes this time. Since Berba and Carrick left, Tottenham have shown they've got Champions League credentials. But if they're to eat at the top table with Chelsea, they must keep Modric. And their resolve should send a stern message to the boardrooms at Goodison, Villa Park and even The Emirates. I thought football had rid itself of the scourge of players shackled to economic rights ownership. As Carlos Tevez seeks to leave the Premier League to be nearer his daughters, it seems Corinthians are launching a £35m bid to bring the Argentine (near) home. Brazilian football's just signed a huge TV deal, taking it to another financial level. Reminiscent of the Sky TV revolution here twenty years ago, Brazil didn't have that fiscal might before. When Corinthians signed Tevez and Javier Mashcerano from Argentina first time round, it involved unprecedented fees for the Brazilian game. Then the pair joined West Ham United, which was even more unlikely - a switch which landed the Hammers right in it with Sheffield United and the Premier League. It smells a bit to me like Kia and the gang are ready to take "ownership" of Tevez again - and loan him to the Brazilian outfit. With the tabloid headlines screeching a £35m transfer fee, it's a normal deal on the surface only. City's unlimited ambitions aren't enough! ﻿﻿When Manchester City bought Carlito from Manchester United, City's billionaire owners had to shell out £47m, not to United but to Kia Joorabchian and his consortium. That was to buy out all claims on the players future earnings. 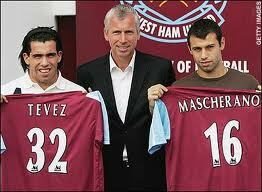 Tevez's track record suggests he's a mercenary with little desire to pledge loyalty to anyone or anything. His private and professional life show it - and his connection with Joorabchian's never quite been broken. But middle men who own portions of his future earnings don't suit the more mature European game, held to ransom as it is by agents already. Though Tevez is a good player, both City and the Premier League are better off without the baggage he brings here.